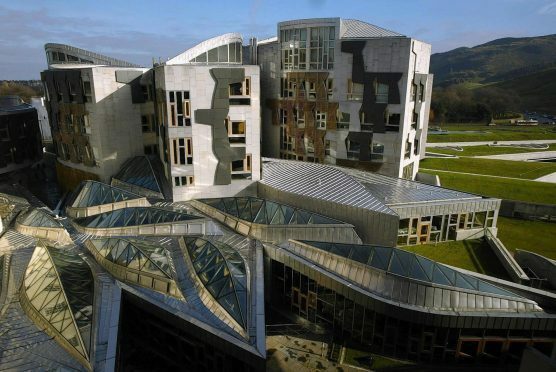 The claims were detailed in the 2017/18 expenses figures for Holyrood, as the bill for the 28 north and north-east representatives hit £857,799, including £146,027 on travel. Scottish Conservative Bill Bowman asked taxpayers to pay £1,196 for 48 hotel meals in Edinburgh last year – over 10% of the total claimed in that category for all 129 MSPs. The north-east representative, who lives in Dundee and does not claim for another property in the Scottish capital like most of his colleagues, has now spent £1,601 on 60 meals since his election in December 2016, as well as £13,483 on hotel rooms. A Tory spokesman said the party follows parliamentary rules on expenses and that all claims were assessed and approved by the allowances department. Newly-released data also shows that Aberdeen Central SNP MSP Kevin Stewart spent £4,350 on postage stamps last year, out of a total £18,403 bill for all representatives. And Aberdeenshire West Tory MSP Alexander Burnett claimed £2,579 on printing and photocopying. Western Isles SNP MSP Alasdair Allan forked out £488 on envelopes, while north-east Labour MSP Lewis Macdonald asked to be reimbursed £1 for a packet of Blu Tack. 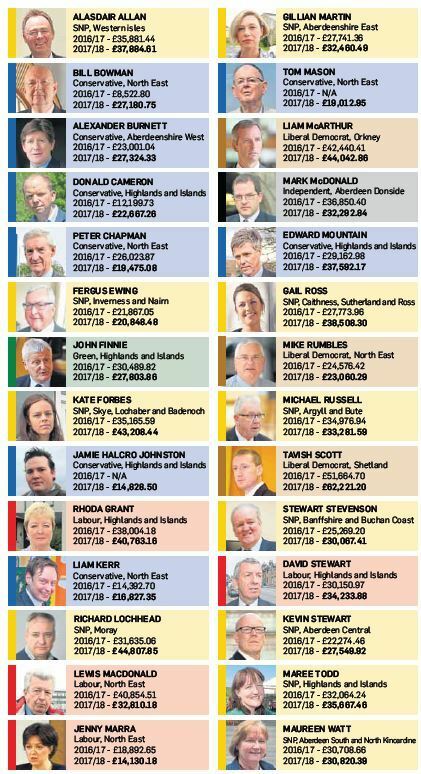 Of the northern Scotland politicians, Liberal Democrat Mike Rumbles claimed the most for driving, at £6,304, while more than £5,000 was also spent by Peter Chapman, Kate Forbes, Gillian Martin and Edward Mountain. Taxpayers were hit with a total bill of £14,720 for taxi journeys, meanwhile, with Scottish Conservative deputy leader Jackson Carlaw alone claiming £1,750. Across Scotland, MSPs spent a combined £16.159 million, a below-inflation increase of £327,611, or 2.07%, on the total in 2016/17. Half of the 26 north and north-east MSPs who were sitting in 2016/17 claimed more than the year before, including a £13,172 increase by Moray’s Richard Lochhead, while there were also rises of more than £10,000 recorded by the SNP’s Gail Ross and Lib Dem Tavish Scott. Mr Scott, who represents Shetland, remained the highest spender in the area, with a bill of £62,221, including £21,978 on flights and £2,769 on ferries. The next highest was Mr Lochhead, who said he had to move office twice in the year and therefore “incurred various additional one-off expenses”, followed by Orkney MSP Liam McArthur, Ms Forbes and Labour’s Rhoda Grant. Peter Chapman, Fergus Ewing, John Finnie, Lewis Macdonald, Jenny Marra, Mark McDonald, Mike Rumbles and Michael Russell all claimed less last year than in the previous financial year.